« Stressed By How Your Partner Conveys His or Her Love? This Book can Help! I was heading to work this past weekend and took a bad fall on my back stairs. Even though the snow is melting, patches are still icy and I fell hard. Luckily I know that stepping out on ice is a prelude to sitting on ice (packs). For a few hours. On and off. When we fall on a hard surface we often end up bruised and sore. I am no exception. This weekend, I nursed my wounds with ice packs hot tea and a warm blanket wrapped around me! 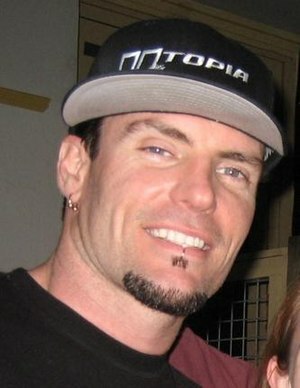 Apparently I am in good company because, remember that “rapper” Vanilla Ice? He recently also took a fall on ice. Click here for the gory details! Luckily I did not gush blood like Vanilla ice did in his fall! Some of the articles Ice and I both should have read before I fell are below. Read them to handle falling yourself! • Falling on Ice-Suggestions to help your save back from University of Iowa Healthcare. Click here. • When to use heat and ice for sports injuries. A fall on ice is kind of athletic, right? Click here for details on when to use heat and ice. • H ow to fall on ice, including instructions on how to roll. Difficult to do on stairs (rolling down stairs may have given me a concussion and fractured my skull) but good to know. Click here. Falling on ice is indeed a serious thing. It hurts like crazy and can really wrack the whole body. You have some excellent suggestions for dealing with it after it happens. I’m here to tell you though that falling on ice can be 99% a thing of the past. Reducing the likelihood of falling is a life changer. And of course as we get older, women especially, a real boon to long term health and peace of mind when walking outside in winter months. My husband says I make everything in the world come back to tai chi but the cold fact (no pun intended) is that tai chi 1) improves balance, 2) improves confidence in the body, 3) builds up the unity of the mind and the body so we always know where we are in space and can adapt quickly to unsteady conditions like ice WITHOUT THINKING. So, when the feeling of uh oh, slippery! happens in an instant, the body instead of getting tense and instead of the mind freaking out and panicking, it relaxes, sinks and adjusts in a flash – end result? No fall. I speak from experience. Used to fall A LOT. Now maybe once a season. Find some tai chi near you with a good teacher and try it. You’ll let go of a lot of stress and you’ll safe your bones and muscles in winter. Another good, great exercise really is a qigong exercise called bear hugging the tree. That is really something that could stop your falling dead. And in China, they make you do that exercise alone for three years before tai chi. It’s that important for training the body. So, if you’re in Chicago, come visit us. ANd if you are somewhere else, like I said, find a good teacher and get started on your tai chi and qigong right away. You’ll feel so good. Thanks so much for the comments and tips! Unfortunately, even with good balance, ice on stairs is tough to navigate. I like the combination of Tai Chi and salt to melt the ice! Keep up the good work at Calm Chicago! We need you!